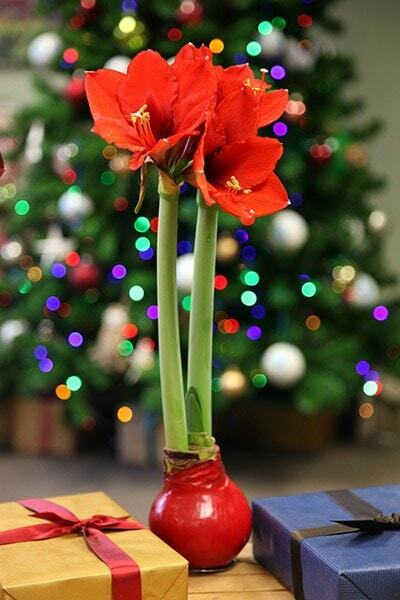 No water flowers bulbs are handmade with specially selected amaryllis bulbs that don’t need water to grow. The bulb has enough energy for the flower to grow. So just enjoy this easy eyecatcher. All guaranteed to be flowering in 3-6 weeks. General care: Avoid placing the bulb in hoter rooms they are best in cooler rooms. Just an update to my earlier review. It is now 06.02.19 and my amaryllis is still going! It produced a third flower stem a couple of weeks ago and this is now healthy, strong and about 5 inches high. Amazing!! Stunning amaryllis, has just flowered (15.12.18) - big bright flowers and a second flower stem to follow. Best amaryllis I have bought and the wax base looks great and also is smaller than a normal pot so it can be put amongst other things easily. Highly recommend. What happens to this bulb when it has finished flowering? Can it be potted up for next year? 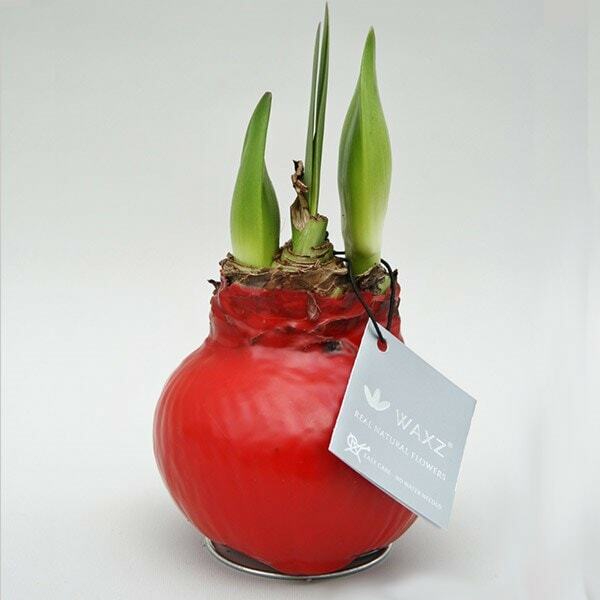 Hello, These amaryllis only tend to last one year, but if you opt for an amaryllis that does not have this wax coating, you can keep them for several years.